Almost Married - August eNewsletter! Almost Married – August eNewsletter! 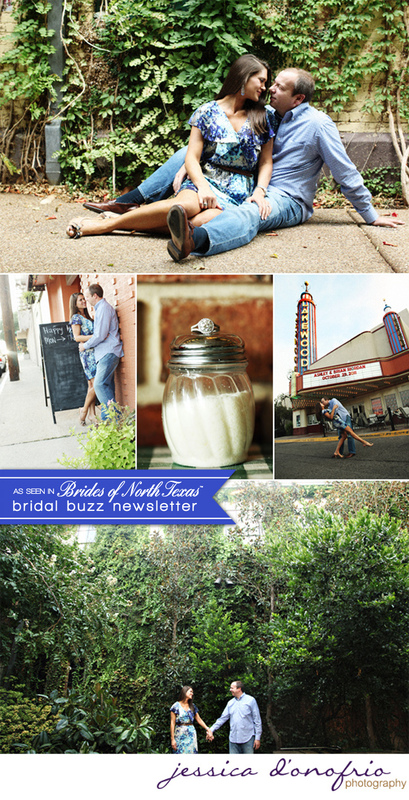 Did you catch this adorable Almost Married couple captured by Jessica D’Onofrio Photography and featured in the August Brides of North Texas eNewsletter? If you don’t already have the newsletter sent directly to your inbox each month, be sure to sign up online! Each newsletter features tons of inspiration, the latest events and happenings and more! Check out Ashley and Brian’s sweet story below! As extremely busy professionals, Ashley and Brian had little time to search for their perfect match. Luckily they both signed up for match.com! At first, both were skeptical about online dating, but there was no denying the instant chemistry they felt on their first date! Ashley suspected Brian was going to propose one night before dinner because he was acting so nervous! Sure enough, that night Brian asked Ashley for her hand in marriage and she happily accepted! The couple is excitedly planning a 1940’s glamorous, high style affair at The Aldredge House. Congratulations to Brian and Ashley!